Somebody please pinch me already. Am I dreaming or Greyson Michael Chance the YouTube sensation from Oklahoma just talked to me and asked to treat me lunch? I looked back at the crowd and he&apos;s still signing autographs. Okay, maybe im just dreaming. Wait no. I must be dreaming. Why would Greyson ask me for lunch or even talk to me? He doesn&apos;t even know me. Plus, he&apos;s sitting there signing autographs, he wouldn&apos;t just chased after me and talk to me. Im just imagining things. I need a doctor. &apos;Excuse me, Miss?&apos; I turned around and Greyson&apos;s bodyguard came up to me. I was shocked. What&apos;d i do? Is it because I passed him a note and they&apos;re gonna put me in jail for that? &apos;ye-ye-yes?&apos; I said, while i panicked. &apos;Miss, Mr Chance wants me to tell you that he can&apos;t come over to get you now. There&apos;s too many fans chasing after him. He wanted me to get you to meet me. Is it okay? 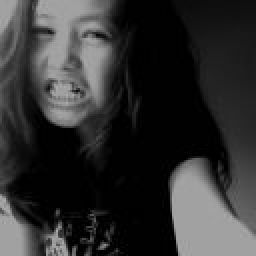 If its okay, follow me please? We have to hurry up before anyone sees us.&apos; he said. OMG. THIS IS REAL? The whole treating me a birthday lunch thing is REAL. Im not dreaming. There&apos;s so many things running through my mind now. Suddenly, a voice broke into my thought. &apos;Miss, are we going?&apos; he said, looking a little annoyed. &apos;Uh, let me tell my mom and confirm with her. Im so sorry.&apos; I quickly pull my phone out of my pocket and dialed my mom&apos;s number. She picked up and I told her that Greyson wanted to meet me. All she said was &apos;stop dreaming&apos;. She didnt believe my story. &apos;Uh, can you please talk to her? She didnt believe me!&apos; I said while passing the phone to Mr.Bodyguard. After 2 minutes of explaining, he finally hung up and I mouthed &apos;sorryyy&apos; when he gave my phoneback. I feel so so sorry for troubling him. &apos;Let&apos;s go.&apos; he said in a really cool voice and walked away. I followed him to his car and my mouth dropped. He&apos;s bringing me to have lunch with Greyson in a fully tinted Mercedes? Awesome! &apos;Stop staring. Come on, we&apos;re running out of time&apos; Mr bodyguard said while climbing into the car. &apos;Coming!&apos; I quickly climbed in the car and sat really quietly. Mr.Bodyguard&apos;s scary. We left the signing session&apos;s venue and Mr Bodyguard introduced himself as Dan on the way to meet Greyson. &apos;Girl, you&apos;re really special. Greyson never asked to meet a fan. But this time he asked. You&apos;re special.&apos; Dan said. &apos;But why me? 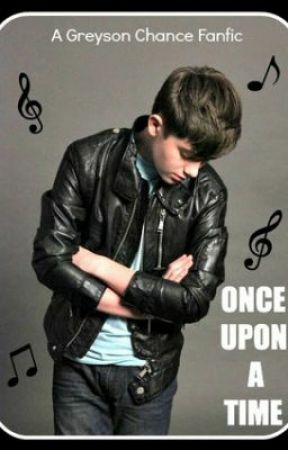 There&apos;s million other girls fighting for a chance to meet Greyson. Why meee? I know i really wanna meet him but its just weird that he asked me.&apos; I said looking really confused. &apos;Told you that you&apos;re special! One in millions.&apos; Dan said while raising his eyebrows. &apos;We&apos;re here!&apos; Dan stopped in frony of a fancy restaurant. When I stepped out of the car, the car zoomed away. And I&apos;m left infront of a fancy restaurant, standing alone. I was so nervous that there&apos;s already butterflies in my stomach. There&apos;s millions of OMGs in my head. I&apos;ll be walking into these doors and I&apos;ll meet Greyson in a few seconds. Okay, Jessica. Take a deep deep breath. Breathe in, Breathe out. Breathe in, Breathe out. After I&apos;m all set, I walked into the restaurant.